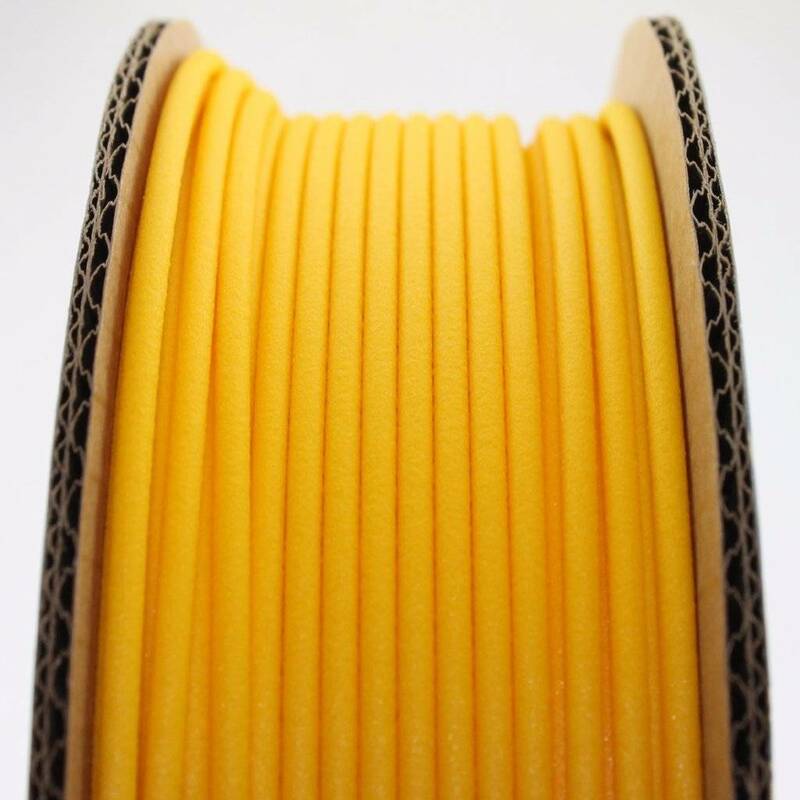 Plant-based fibers HTPLA filament in yellow. No special hardware or nozzles are required for this plant-based composite. Developed for every printer. 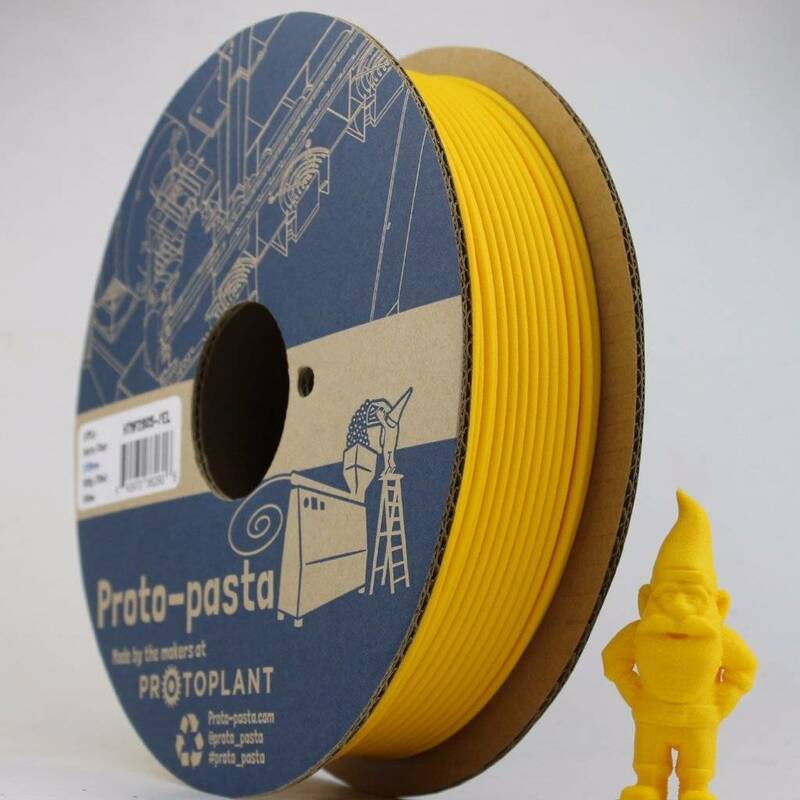 It prints like PLA on non-heated beds with blue tape. This Matte Fiber is not overly brittle, but is stiff and will break under excessive load. The material can be heat treated to retain more stiffness to higher temperatures. Dimensional stability is improved compared to HTPLA without fibers. The plant-based fibers improve adhesion of glues and coatings. This material does absorb moisture and dry filament is recommend for best results. When saturated with moisture, this material oozes more readily. 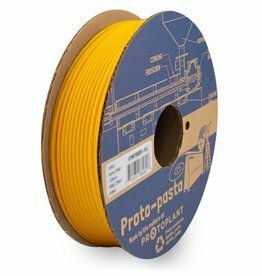 Lowering flow and/or temperatures can minimize oozing and improve detail, though higher temperatures are recommended for best mechanical properties. With higher temperatures, ooze artifacts can be removed post build. Architecture, sculpture, industrial and product design, engineering 3D prints.